Some call February 14th a “Hallmark” holiday and some call it the most romantic day of year. 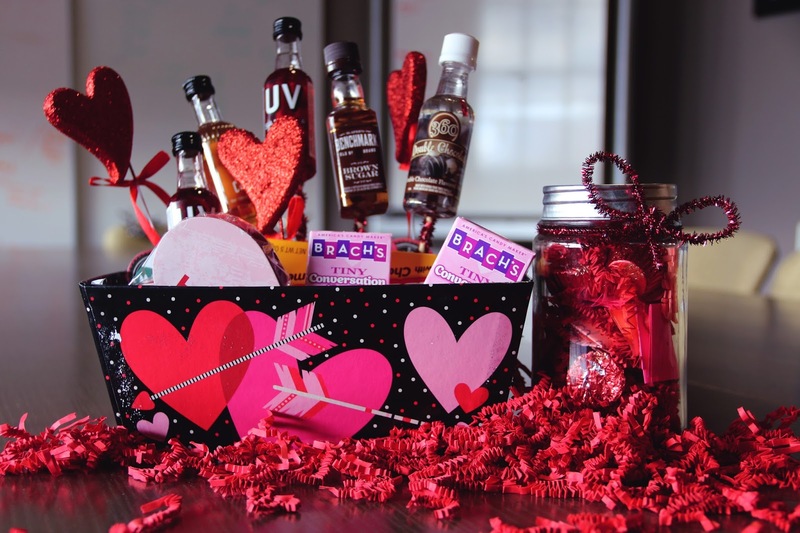 Whichever way you lean, we wanted to share with you a little DIY and other gift ideas for Valentine’s Day. From a serious relationship to starting something new, there's always some question of what to do on this glorious day. 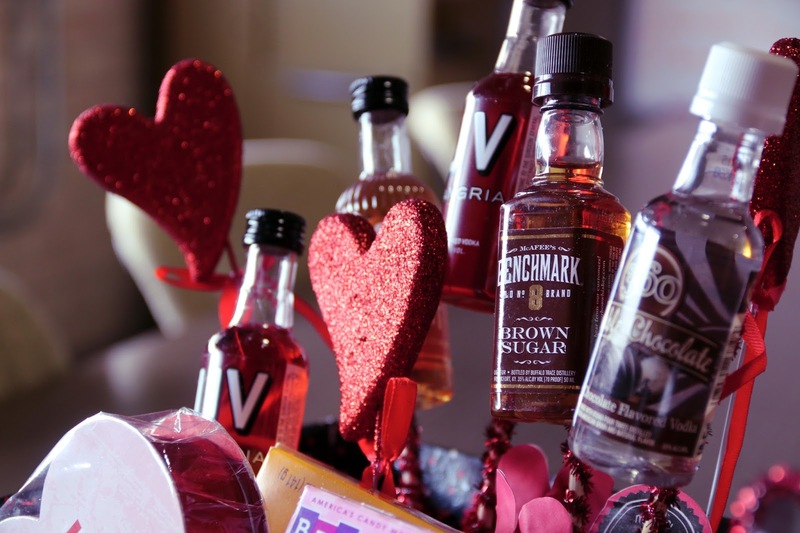 We shared with you a few easy creations and splurges to bring out the Valentine’s Day enthusiast in you. DIY #1 - "Boozy Bouquet"
This one is simple and a gift I know a lot of people will enjoy. You can even tweak this to give to a friend, colleague, etc. 1. Line the box with foam; then cover foam with filler paper shreds. 2. Wrap each wooden stick with a pipe cleaner. These will be used to glue the mini liquor bottles. 3. Hot glue each mini liquor bottle at the tip of each stick. Once all completed, place them at different levels within the foam. Tip: If different levels desired, cut sticks prior gluing pipe cleaners. 4. Once placed, fill the rest of your basket with candy and/or other items your significant other will enjoy. Be creative! 5. Give gift to Valentine and watch the amazed look on their face that you actually created something pretty dang cool. DIY #2 - "52 Reasons I Love You"
I made this for my man Sam 2 years ago. We have been long distance our whole relationship so I figured something like this would be fun! 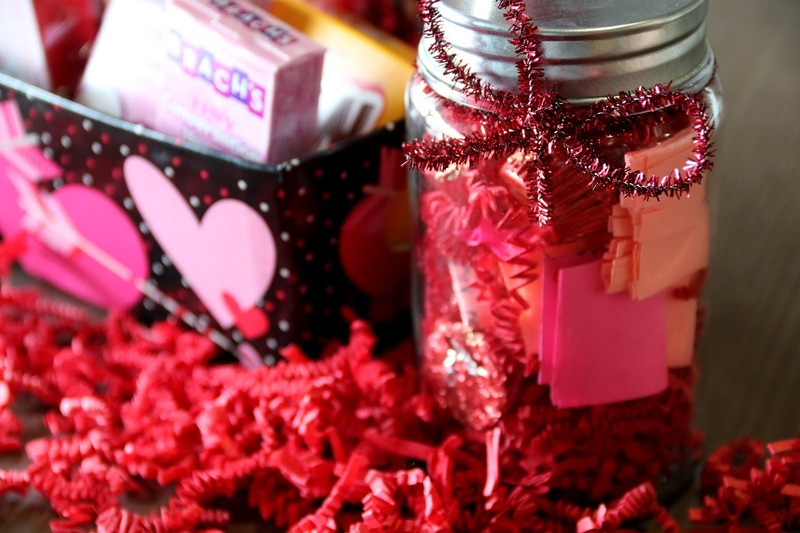 This DIY is beyond easy and extremely thoughtful. 1. Think long and hard as to why you love your valentine then either write or type each reason on the labels. 2. Stick said labels onto each playing card (stick them to the number side using the Jokers as the front and back). 3. Punch a hole in the upper left corner. 4. Bind together and feel accomplished. DIY #3 - "Date Jar"
1. Write or type a handful of date ideas. Tip: Katie bought a pad of colorful paper and hand wrote her dates. 2. Fill the Mason jar with filler paper while adding the candy and date ideas. Tip: ensure everything is mixed up and doesn’t look too layered. 3. Decorate jar if you desire. 4. Katie's #1 date idea: Mini brewery tour! 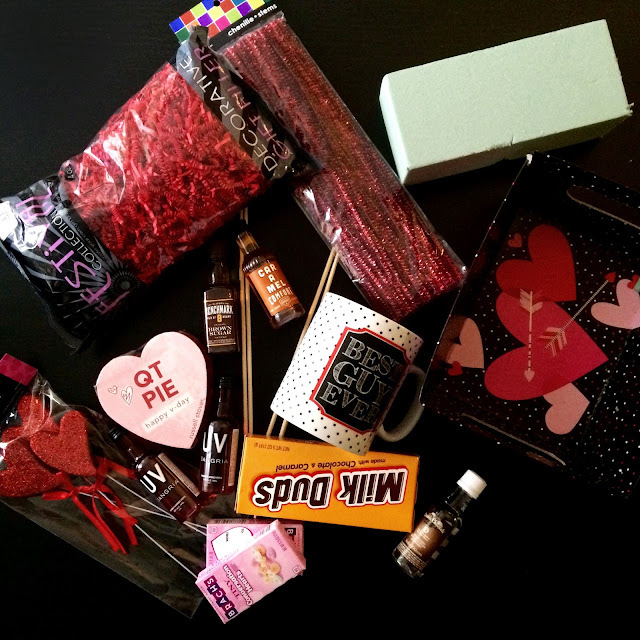 Gift Ideas: For those of you not feeling crafty or just wanting to spoil your Valentine. o My guy and friends love the brand Shinola. 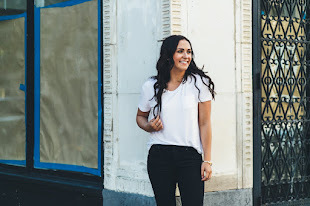 This Detroit founded company sells high end watches, bags and personalized office items…something everyone will enjoy.